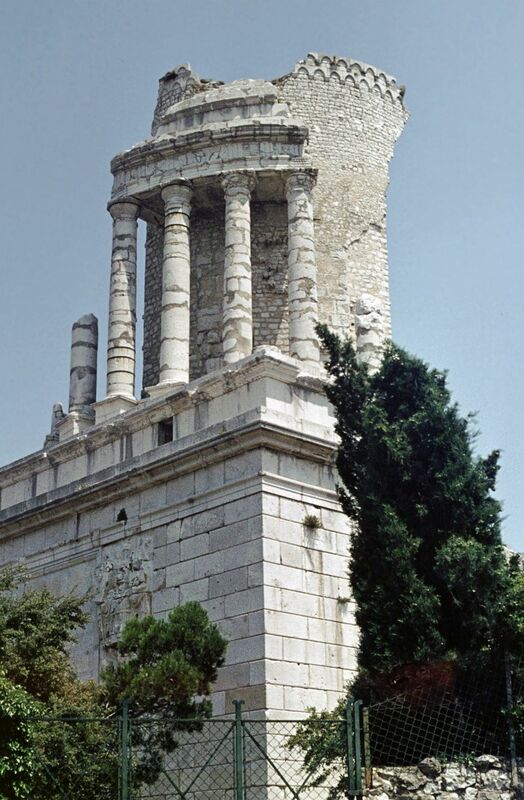 The Tropaeum Alpium (Latin for “Victory Monument of the Alps”, French: Trophée des Alpes), was built by the Romans for the emperor Augustus to celebrate his definitive victory over the ancient tribes who populated the Alps. 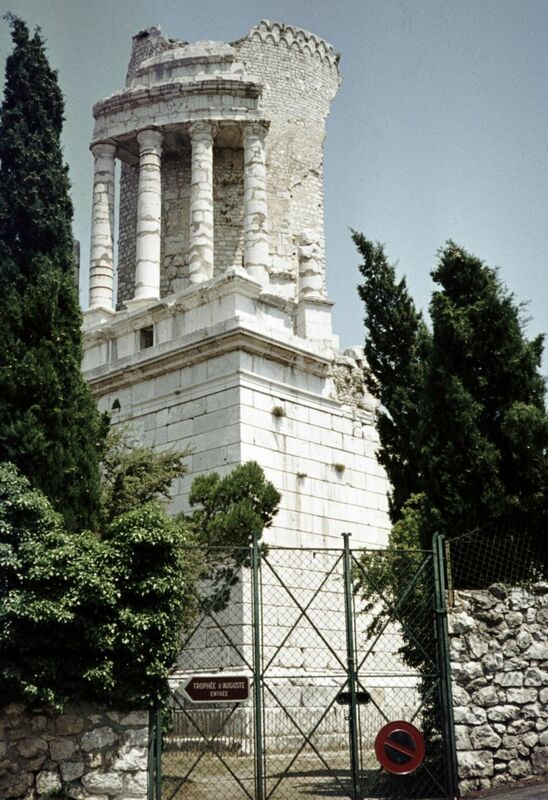 The monument’s remains are in the commune of La Turbie (France), a few kilometers from the Principality of Monaco (Latin: tropaeum from Greek: tropaion whence English: “trophy”). The Trophy was built c. 6 BC in honor of the emperor Augustus to celebrate his definitive victory over the 45 ancient tribes who populated the Alps. The Alpine populations were defeated during the military campaign to subdue the Alps conducted by the Romans between 16 and 7 BC. 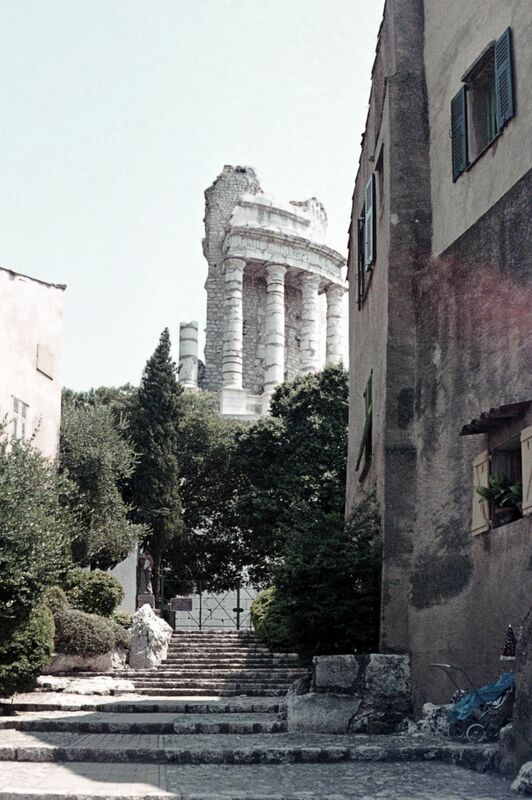 The stone used to build the monument was originally extracted from the Roman quarry located about 500 metres away. Visitors to that site can still see the traces of sections of carved columns in the stone. On the next photograph you see me sitting on the pavement shooting the photo above. 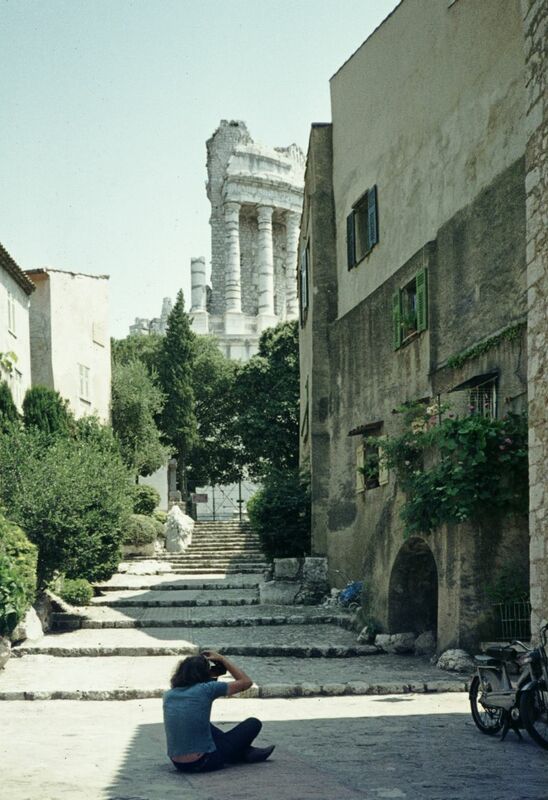 Visit July 1975. Praktika XL SLR, Agfa slides.